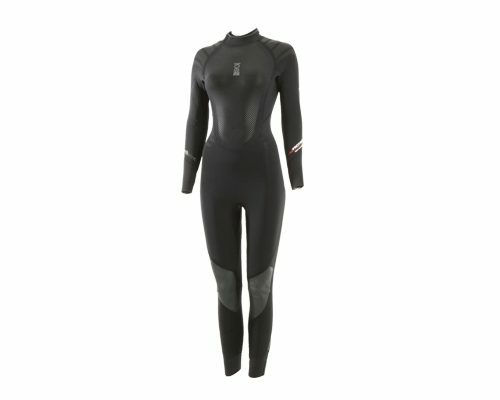 The Fourth Element Ladies Proteus 5mm Wetsuit is an advanced 5mm thick neoprene wetsuit is developed using a combination of superstretch and thermocore neoprene. The Proteus offers surprising thermal protection and comfort. -Hydrolock seams have been developed by fourth element for maximum waterproof effectiveness. Each seam is double glued and blindstitched, and then sealed on the inside with thermoflex tape. -The net result is a more comfortable seam next to the skin, which is stronger and also watertight. -Developed by fourth element over 8 months of prototyping, this features a unique combination of glideskin, smoothskin and standard neoprene. The double seal virtually eliminates water ingress into the suit. -An internal back panel prevents water entering through the zip from reaching the back. The neck collar is lined with glideskin neoprene and fits snugly around the neck giving a smooth, complete seal. Then as the zip is pulled up, the outer neck seal which has a smoothskin seal, can be adjusted to fit. -The end result – a secure, comfortable seal at the neck, minimal chafing and less water ingress. -Combining 5mm thermocore neoprene with superstretch neoprene has produced a flexible yet warm, suit. A double layer of neoprene across the back ensures greater comfort when wearing a BCD and cylinder, and provides additional comfortable thermal protection. -Dura mesh on the chest panel ensures wind chill is reduced, and the overall design of the suit maximises flexibility and thermal protection. The plush lining helps to ease donning of the suit and increase thermal protection. 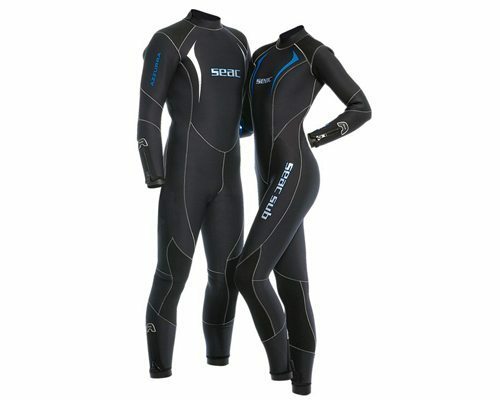 -It also ensures that the Proteus suit works exceptionally well in conjunction with the Thermocline core range. 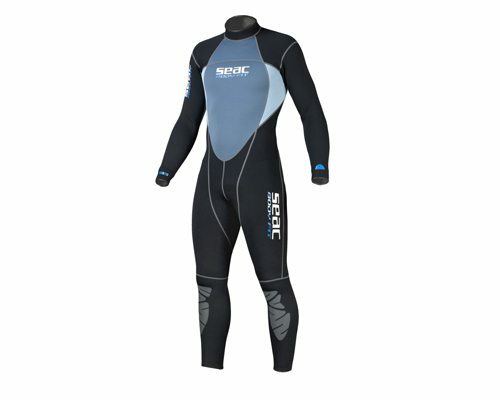 -A diver’s wetsuit can take some serious abuse, especially in areas where it is in contact with the BCD and weightbelt. -Durawear patches have been applied to the critical areas of the proteus to minimise the abrasion for other equipment at the shoulders and around the waist.